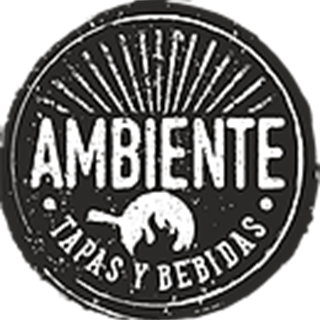 Ambiente Tapas Hull, Is an Independent, Yorkshire based tapas restaurant situated in the historic fruit market area of Hull. Serving freshly made delicious food daily. Staff were knowledgeable about the products and offered advice when ordering, very helpful and polite! Would definitely recommend! Absolutely brilliant. Loved it so much we went again 2 days later! The food was amazing and the staff very helpful, friendly and knowledgable about the food and drink. Look forward to visiting again. Fantastic meal and service - we will definitely be back - thank you. Quite a nice experience and the staff were wonderful. The menu is a little limited for a Tapas restaurant. However the food is good quality and served in good time. Not the best in the area but a little cheaper. Gorgeous food. Cheese platter was amazing service was exceptional. Waiter was very attentive and knowledgeable. Will definitely be back. This was our second visit and we choose to eat early evening as feel it could be noisy later on. Excellent service by Tom. The booth was really comfortable and out of the way with some mod cons like a speaker and usb charging ports. The best part of the experience was the staff. They have a huge amount of passion for the food and drinks and it’s really gratifying to see the interest that each member of the team has for a particular aspect of the dining experience; from great knowledge about sherry to the flavour of the anchovies on the fish platter. This elevates your dining experience as a customer as they really care about their food and your opinions on what you enjoyed. We heartily recommend ambiente and we’ll defiantly be going back for more. Good food and atmosphere but the service was a bit slow and some items on the menu where not available. Very accommodating in all respects and looked after my mum who is not good on her feet. Wonderful staff. Wonderful food and drinks. Very flexible - we had a big number of people and kept changing things and they were accommodating and patient. This is my 3rd visit and everytime both the service and food were excellent. The staff are all amazing and really do make you feel welcome. The food is THE best I’ve ever had. If I could live off ambiente food for the rest of my life I would! :) My fave restaurant. Thanks again Anbiente Hull! This is such a nice Tapas restaurant next to the beautiful Hull Marina, the staff are very professional and friendly, and the food is amazing! The decor is trendy industrial style and there is a lovely atmosphere in the restaurant. We shall certainly return! Best tapas in Hull, fact! Fantastic food at Ambiente yesterday. My sister and I took our mum for an early Mother’s Day lunch. Service was excellent. Our server was aware of my sister’s sesame allergy and brought an information card over listing allergens and had also informed the kitchen. Decor is lush, modern and cosy. We really enjoyed it. Thank you!